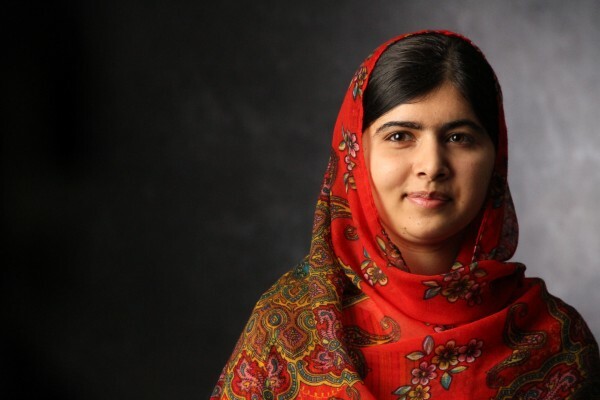 Malala Yousafzai today becomes the youngest person to receive the Nobel Peace Prize. In this open letter to world leaders, she calls on them to seize the unique opportunity 2015 brings to “do better” – not just on education – but on development and climate, too. We’re thrilled Malala has spoken out in support of the action/2015 movement which ONE is part of. This year’s Nobel Peace Prize shows that generations and nations can stand side-by-side to demand a better world for children. But it also puts in stark relief the injustice of a world where education can be classed a crime, a 15-year old girl is shot simply for wanting to learn, and boys and girls are forced to spend their childhoods working in a factory. So whilst it must be a moment for celebration, it must also serve as a rallying cry to the world to do more to ensure every child can be certain of a better future. Tremendous progress has been made. More girls are attending school than ever before, the number of children under-5 dying of preventable diseases has halved, and fewer young people are living in poverty. But it is not enough. Too many girls have their education cut short and are forced into marriages they do not want, too many children grow up without enough food to eat or water to drink and too many of them live in communities whose very existence is threatened by changes to the climate. In 2015 two United Nations summits give us a unique opportunity to begin a journey towards a better future for all. Both present an opportunity to think bigger and to do better – for ourselves, our children and all those that follow. The first, in September, will see the agreement of new Development Goals which have the potential to transform the lives of millions. Two months later, in December, world leaders will meet again to agree new climate change targets. This is our chance to commit to do better. That is why I am issuing a call today to urge you to raise your ambition. If the right decisions are made and kept we could see the beginnings of a better future in 2015. A future of “lasts,” rather than half measures. Celebrate Malala’s Nobel Peace Prize award – share this post on Facebook.